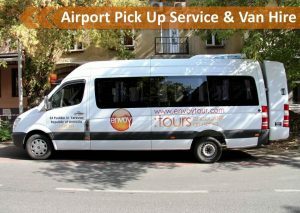 Sure its possible to fly directly to Hanoi from Phnom Penh, however, presented with an opportunity to travel and experience what our guests often do, the decision was made to follow a different route. First stop: Ho Chi Minh City! Around an 8 hour bus ride from Phnom Penh using one of the key bus service providers’ Mekong Bus. (Note that on the trip back we used the Giant Ibis company. This trip took 6 hours, so although a bit more pricey it was a great choice.) The best thing about the bus ride was that we got to enjoy the beautiful Cambodian landscape along the way. After a little sight seeing in the vibrant Ho Chi Minh City, it was a short flight to Vietnam’s capital city Hanoi where the Hostelworld APAC Conference was held. 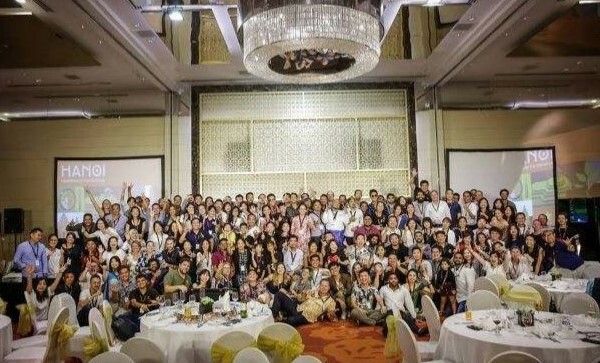 The Hostelworld APAC Conference Hanoi gathered 250 delegates from 18 countries and 73 cities. The event took place over three days and included a welcome reception, conference day, gala dinner and an activity day. Hostelworld’s Chief Revenue Officer and the Ambassador of Ireland to Vietnam officially opened the conference by welcoming everyone to the Hostelworld APAC Conference 2018. Over the three days, many speakers shared their experiences, knowledge and ideas on hostel trends seen in our region. The content covered during these 3 days included information on trends specifically in our region, data on growth of tourists/visitors and of course an overview on how Hostelworld itself was cooperating with businesses and their features and offerings. Of course it was great to learn so much about what is happening in the APAC region. However it was also great to meet so many different yet like minded industry contacts. It was great to share and learn from other hostel representatives from all the different countries. Moreover it was fantastic to make connections and new friendships with everyone. On the last day there was an opportunity to take a motorbike tour. As it is always said ‘when in Rome, do like the Romans’, so when in Vietnam, travel like the locals! Jumping on a motor bike on a guided tour of the city was a fun way to experience the city. All this also means we are even better connected than before. So if you are travelling in our region ask us to suggest places to stay in and activities to consider while visiting our neighbours. 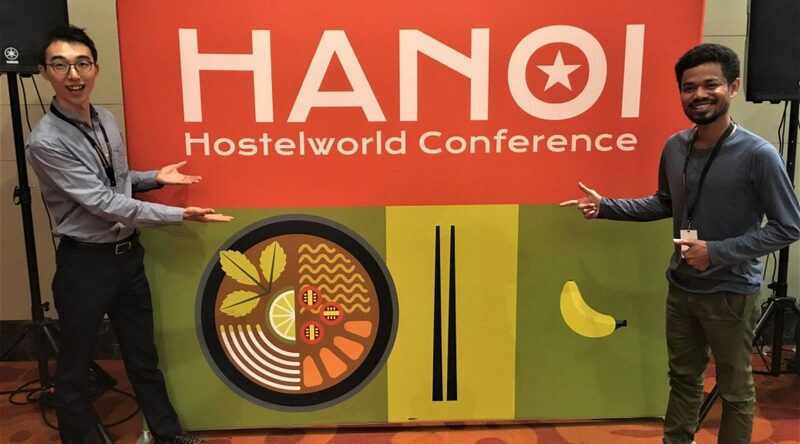 This was Envoy Hostel Phnom Penh’s second time attending the Hostelworld APAC conference (first time was at the conference held in Phuket, Thailand in 2016). Based on our experience on both these trips we are sure this will not be our last! We look forward to the opportunity to attend future APAC conferences. The Hostelworld APAC Conference Hanoi occurred on 24-26th September. We at Envoy, LOVE travel and are always seeking ways to improve our offerings. Hence we couldn’t pass the opportunity to attend this event. Our dear Chamnab and Matthew represented Envoy at the conference. This is their account of the experience. We share your passion for travel. Understanding the needs of travellers we have designed our hostels and services, incorporating every detail gained from our collective travels, to provide a home away from home environment with friendly service. We are keen to help you discover our region!